This is only a brief look at the camouflaged Huayra, particularly at the front. 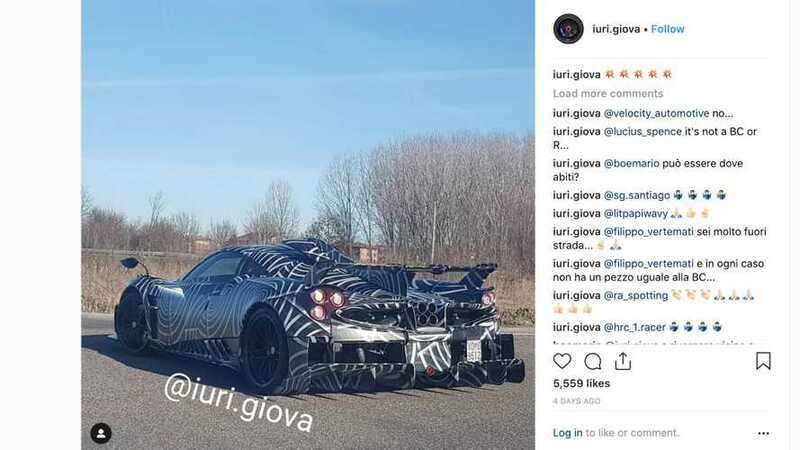 From the glimpse here, it appears that this model uses the front splitter that's similar to the Huayra L’Ultimo, but with a different fascia that adds multiple uprights that connect to the tip of the hood. There are also vents on the side slightly ahead of the front wheels.